Dogs certainly seem to recognize the scent of familiar dogs and people. If they have a sense of self then maybe instead of expecting them to recognize their reflection, we should help them to recognize their place in our family. A positive sense of family is one of the greatest gifts you can give your dog. Dogs should feel appreciated, loved, and develop into a happy and productive companion. To help build your dog's positive self-esteem as he grows, consider these dos and don'ts. Giving dogs choices -dogs think in binary (YES/NO) terms within a reasonable two options that are pre-selected by you- makes them feel empowered. For example, offer two different types of treats to choose from, or offer two different toys for your dog to pick his favorite. Learning to make simple choices while he's young will help prepare a dog for the more difficult decisions he'll face as he grows. For example, understanding whether or not something is a threat. 2. Don't do everything for your dog. Be patient and let your dog work things out on her own. For example, it may be faster and easier to pick up a ball in the bush, but letting her do it herself helps her learn new skills. The more she meets new challenges, the more competent and confident she'll feel. Dogs want to improve and be better and faster. The way you react to your dog’s mistakes and disappointments colors the way he will respond. 4. Don't gush or offer insincere praise. Dogs are masters at detecting insincere praise or baseless rewards. Praise your dog often, but be specific in your rewarding cues, so your words don't ring hollow. For instance, instead of reacting to your dog's latest achievement with, "Wow, good boy! You're the best dog ever," try something like, "GOOD, YESSSS, YAY!" 5. Do assign age and breed-appropriate tasks. Give dogs responsible tasks such as “down-stay” while you prepare the dog food, walking calmly next to you while on a walk, or checking in with you before crossing the street. They'll become more confident and learn problem-solving skills. 6. Don't draw comparisons between your dogs. Dogs are emotionally and energetically very sensitive. Instead, appreciate each one's individuality and special skills. 7. Don't call dog names or make jokes about their confusion. Never belittle your dog's feelings. Even if they don’t understand your words, they pick up on the meaning behind them. When you get angry, take a short break so you don't say or do anything you'll regret. Keep in mind that you can dislike a dog's actions without disliking the dog. Be sure to illustrate the difference to your dog. Stay in the present moment. What happened three seconds ago has nothing to do with what’s happening now. 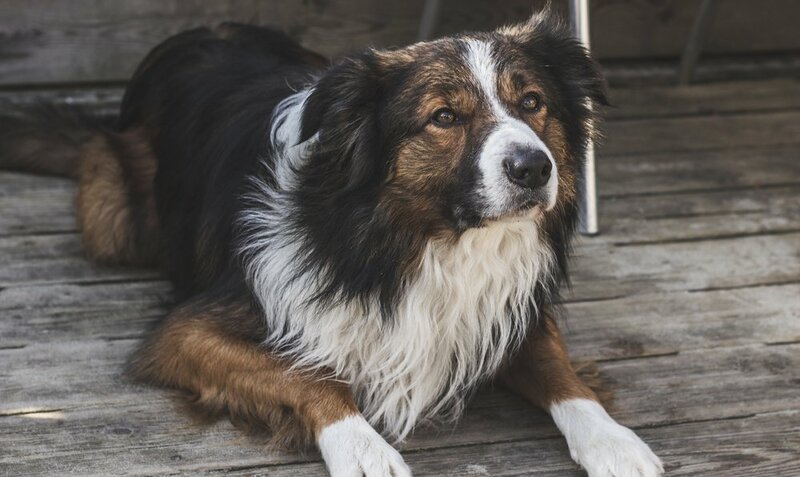 Even if a situation is connected to a human timeline, dogs don’t consider time as a factor. They see things in terms of events, not time. 9. Do spend one-on-one time with your dog. Whether it's sharing a toy or taking a walk, try to schedule some alone time with your dog at least once a day for 5-15 minutes. This is an excellent opportunity to build synergy and strengthen the emotional relationship with your dog. 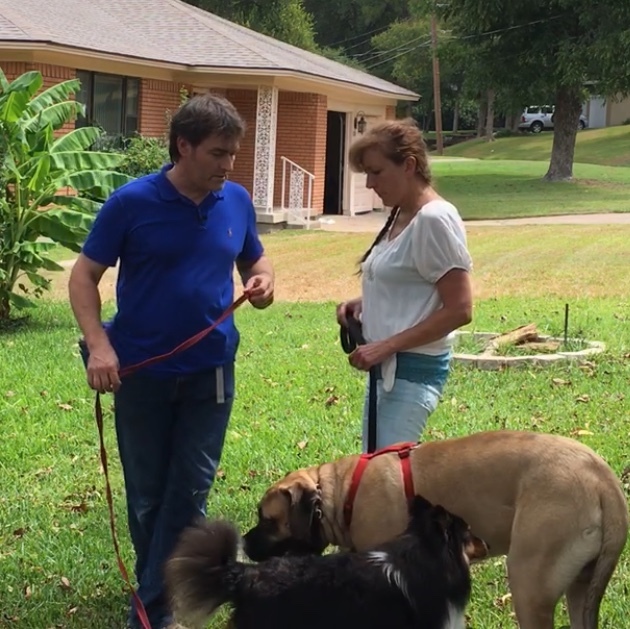 Roman Gottfried is an internationally renowned Holistic Dog Training and Dog/Human Relationship Coach. He works with dog parents worldwide to help their dogs reach their full potential, by teaching them the holistic philosophy of creating a healthy relationship with their dog. He sees clients both online and in-person in Phoenix, Arizona. Visit www.holisticdogtraining.org for more information or to schedule an appointment. Just like babies need to learn how to crawl before they walk, dogs need to learn the basics before they become a well-behaved member of the family. Isn’t it exhausting when your dog doesn’t listen? They counter-surf, jump up on people, and bark incessantly. Dogs who behave badly can cause a lot of stress in the home. Believe it or not, teaching your dog to respond to some simple commands will make a world of difference in how well he or she listens to you with everything else. Here are five basic commands that every dog should know, and instructions on how to do them. Please note: Puppies and older dogs have short attention spans and tire easily. Keep sessions short for them to keep their attention and minimize distractions. 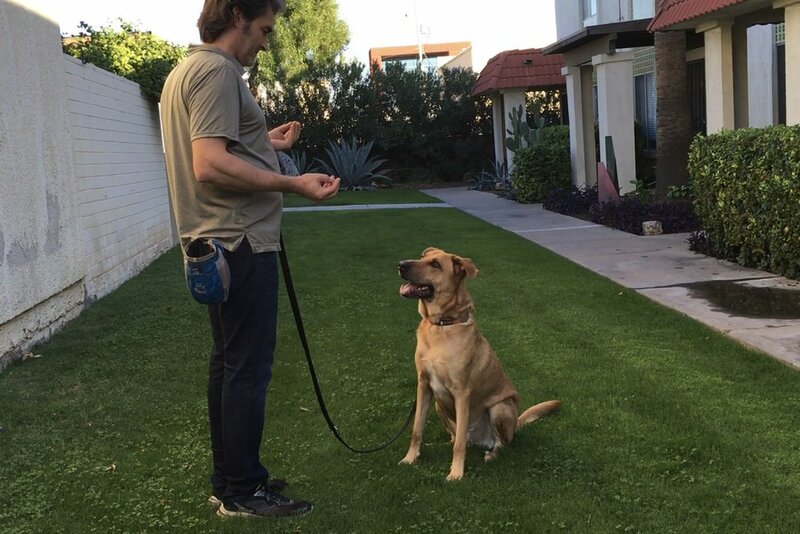 The command “sit” is one of the easiest things to teach a dog. A puppy who sits on command is easier to manage until he learns more self-control. If you teach your dog to sit when the doorbell rings, he’ll be less likely to jump up on visitors when the door opens, or fly out the door after a cat when your guest comes inside. Get on your dog’s level, either on the floor or in a chair next to him. Hold a treat close to his nose and let him smell what he needs to work for. Wait patiently until he sits, and whatever you do, don’t let him take the treat until he is on his bottom. You can turn your head to left or right if the puppy jumps on you, but don’t turn your back on him or tell him “no” verbally. When his bottom hits the floor, say “sit” and then give him the treat. you just named what your dog thought is the best way to get the treat. Add emotional praise like “good sit” or affection. TIP: Don’t hold the treat so high that your dog tries to jump up for it. Dogs instinctively go for the face. You can also practice this command by saying “good sit” every time your dog’s rump hits the floor. Don't physically force the dog to sit. Practice this with your dog in short increments, multiple times a day. Reinforce the sit in other situations, like mealtimes. Have him sit before you put his food bowl on the floor, or before you open the door to take him on a walk. The “come” command is another useful tool for managing annoying behaviors. It can keep a dog out of trouble while giving him a job to do. It can also save his life by keeping him from running out the door. This foundational skill is one that the two of you will use and refine for the rest of your dog’s life. Start with inside your home. Grab a few treats and walk backwards while offering your dog one treat. as your dog walks towards you, that you call COME. Clip a light 30-foot line to your dog’s collar and let him drag it around. Do this in a calm space without a lot of distractions. Let the dog know that you have yummy treats or a toy that he loves to play with. After he gets used to having the leash on him, pick up the end not attached to him and hold it. Hold a treat between your ring finger and middle finger and have your palm open toward your dog. Start walking backward while holding the leash, and show him the treat. When he comes toward you and tries to take the treat out of your hand, say “yes,” then give him the treat. Give him some praise or affection. Keep walking backward, and this time, encourage him with “come” when he intends to make contact. Praise and reward him when he does. Once your dog understands the command, if he does not come, wait about 20 seconds, then go to him and gently guide him to where you want him to be. If you stand in the yard or at the door and holler repeatedly, he doesn’t understand the command yet. Never use this command if you want to discipline the dog. If so, you will teach him to associate the command with a negative consequence. If your dog is behaving badly, always go to him rather than calling him to you. “Stay” is one of the hardest commands for a dog to learn, but it’s a lifesaver! It can keep your dog from serious harm, and generally make it easier to manage bad behavior. Dogs prefer to be by your side, so it can be a challenge to get them to stay in one spot while you go somewhere else. The goal of the stay command is to teach your dog that his job is to remain right where he and wait for further instructions. To work on stay your dog needs to understand five concepts. waiting for a cue to be released. Ask your dog to sit comfortably in front of you. Show a flat palm toward his muzzle and say “Stay”. Now make a short step back after saying stay wait a few seconds, and say FREE and let him come to you while you offer a treat. Add more time and distance. if your dog breaks go back 30% and restart. TIP: Do not Reward him for not breaking his stay by going back! If he moves, calmly say “Oops” or “Uh uh” and guide him back where he was initially. Do not touch or physically maneuver your dog. Again, give the stay command along with the hand signal, and start over. Practice this many times every day in different locations. The down command is one of the most challenging tasks to perform. For the dog to go into down position means to surrender and wait for an opportunity. Fearful and inpatient dogs will have more trouble learning this exercise, out of fear of loosing the treat or being to driven to grab the opportunity. To teach this exercise one needs to be aware of your dog's and own body language and emotional state. Take a high-value treat and place it between your thumb and index finger. Reach out to your dog and let him/her smell what you have between your fingers. Let the dog take 2-3 sniffs but don't let them taste or eat it. From your nose move it few inches higher, and towards eyes, so the dog will sit to sniff the treat. When the dog is in SIT position move your "loaded" fingers downwards towards his front paw slowly so the dog can follow the lure. When you reach the paw continue to move your fingers touching the ground and slowly move your hand away from the paw. The dog has two options. Break the sit into stand while his front body goes to a play bow ( restart the exercise and don't give the treat. Start announcing the move "DOWN" when you start the game. Repetition, consistency and generalization is how your will master the skills. TIP- If your dog breaks the DOWN reset the game, move to a different location with better traction and restart the game. Take a hot dog and cut it in slices ½ Put it in a zip-lock and threw it in the freezer overnight. This is the only exercise that your dog will be doing nothing for. This exercise is a foundation. It can be paired with any cue, task or job. Tip: If you have multiple dogs make sure that you only work with one dog at a time, while the other dog is not hear you working with your other dog. Get your self a training pouch and place your self in in reach, near your dog and ask for nothing, not sit, nor come, but let your dog get curious and come on his own free will. Say the word LOOK or HERE and pause for a second before you deliver the dog the treat UNDER the dog's mouth in your open palm!!! Deliver the treat below the head into the dog's mouth Reload and do it again at least 10x NOTE: the timing is important! Say LOOK [pause one second ] then deliver the Treat. TIP: Always offer highest value rewards. Hot dogs, cheese, etc. make sure you let the dog choose which is more worth, biscuits or training treats. Add another person in the game. Ask the person to try to get the dogs attention, while you say LOOK and and when your dog responds ( usually by turning his head towards you) say COME while your hand is already offering a treat. Continue the "conditioning" and combine it with other tasks. Now that your dog is conditioned (Classical Conditioning) to pay attention when you say LOOK, and not to look you in the eye as many might think, it’s time to put it to work. Use it on your spouse. At the end of the day, ask them how "free" they felt, how much trust they had in their decisions, and what they felt during the stimulus control. If you don't like my association and comparison between humans and dogs, it's ok.
Just a heads up that all mammals are emotionally intelligent.